Chateau Gaillard is a classified historic monument (classified in 1852) with the impressive ruins of a castle standing above the village of Les Andelys in the Normandy countryside, 40 kilometres from Rouen. The castle was built by Richard the Lionheart over a two year period starting in 1196, to an unusual design that involved successive rings of moats and fortifications, making the inner keep almost impregnable. The castle was built as part of the many struggles between the Kings of England and France during this period - the English controled Normandy at the end of the 12th century. The castle had a colourful history through the Middle Ages, including a terrible siege in 1203 in which many hundreds died of hunger in the castle before the French managed to seize the castle by entering through a small chapel window (not via the toilets as is commonly reported). 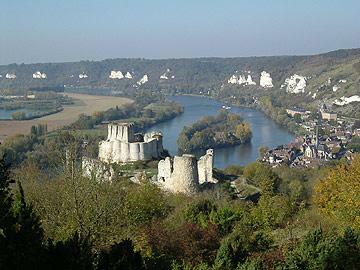 The castle changed hands between the English and French at various times during the Hundred Years War. Various sieges and imprisonments continued during the centuries that followed including the imprisonment (and death) of the adulterous wife of Louis X. In 1417 the castle held out against a siege by the English for 16 months, eventually failing because the last rope that was being used to get water from the wells broke and they at last were forced to surrender. Largely abandoned the castle was already falling to ruin when Henry IV had it substantially destroyed in 1603 - for safety reasons rather than military reasons. 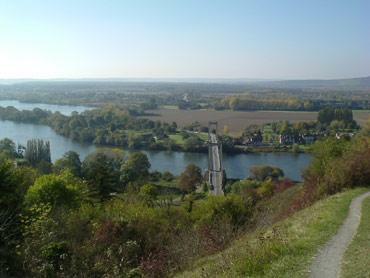 The substantial ruins of the castle that remain are a romantic and evocative sight on the hill above Les Andelys village, with far reaching views over the Seine Valley, and are a highlight of a visit to the region. The original castle layout is still apparent, largely in the form of three defensive walls (the inner, middle and outer baileys) and the substantial keep and part of the living accommodation inside the inner bailey. A particular innovation at Château Gaillard was the use of machicolations* on the walls, a technique that substantially protected the soldiers in the castle from external attack and was virtually unknown in earlier castles. *The use of a 'stepped' wall around the top of the defences, so that soldiers could shoot from between sections of wall - like the top of the walls in a child's drawing of a castle. 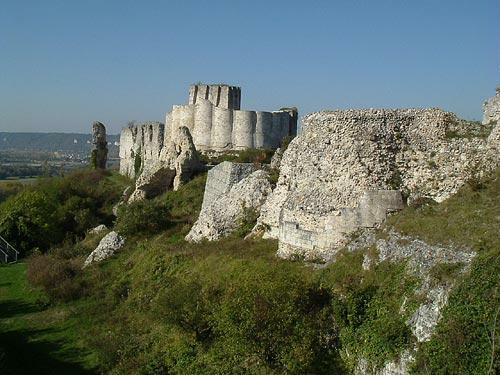 Visiting the castle you feel that you are walking in the footsteps of the kings and soldiers that have come before you, and Chateau Gaillard is a fascinating testament to the events that have taken place here. It also has nice views across the village below and surrounding countryside. Although the castle is the main attraction, you will also want to stroll along the banks of the Seine river in Les Andelys, 90 metres below the castle. 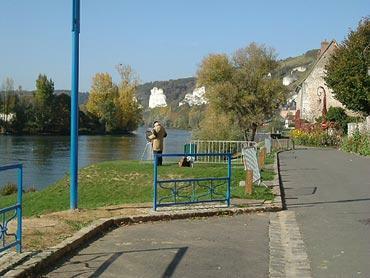 It is a pleasant village and you can see the Hospice of Saint-Jacques and a gothic style church as well as visit the Nicolas-Poussin Museum. Enthusiasts of castles will also enjoy a visit to the Chateau de Champ-de-Bataille to the west of Les Andelys, which is a complete contrast to Chateau-Gaillard, being a 17th century castle surrounded by formal gardens. 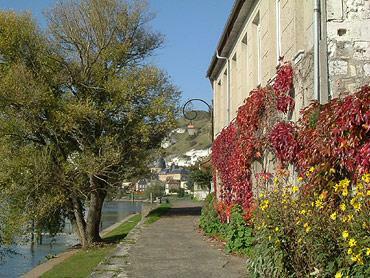 We also recommend a visit to the village of Lyons-la-Foret, north of here and with lots of attractive medieval houses.